Bruce is out of the country this week, so Virginia, Paula and Aaron Landerkin start off the show with an SES New York recap. A couple of themes that stood out at the show were tactics for automating Twitter and strategies for Web analytics 2.0. Twitter is generally expected to be a personal mode of communication, yet some automation can be implemented, such as announcements, new blog posts or events. When it comes to Web analytics, keynote speaker Avinash Kaushik warned against data puke and the importance of tracking micro-conversions. Then Scott Fowles, an SEO analyst at Bruce Clay, Inc. and an evangelist for conversion rate optimization, talks to Virginia about a couple of CRO sessions at SES New York. Tim Ash, a landing page optimization strategist and host of a WMR show by the same name, presented his Conversion Ninja Toolbox at the conference. The tools help marketers and webmasters view their pages as a user sees them and understand the actions that are being encouraged through visual and language cues on a site. 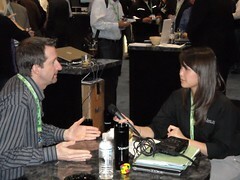 Similarly, Also at the conference, Bryan Eisenberg, a CRO strategist, presented 21 Secrets of Top Converting Websites. The implementation of just a few of those pertinent tips may help a site optimize its conversions. Finally, Virginia, Paula and Aaron return to look at SEO Eric Enge’s in-depth interview with Matt Cutts, head of Google’s Web spam team. Google takes part in a delicate balancing act with the SEO community, in being transparent while not giving away the farm. For instance, in the interview, Matt Cutts explained that PDF files are crawled and indexed but he declined to say if links in PDFs are followed. In the interview Matt also said that there was a loss of PageRank through a 301 redirect, however Aaron insists that a 301 redirect is still the SEO’s preferred choice for redirecting URLs. Bruce, Virginia and Christopher host the show live from SES New York. While those at the conference have many sessions to attend and learn from, those not at the conference also have a great educational opportunity with Bruce’s webcast with Dr. Ralph Wilson, editor-in-chief of Web Marketing Today. Bruce gives a sneak peak of the SMN webcast, during which he and Dr. Wilson will share the top 10 SEO trends to pay attention to in 2010. Then Virginia sits down with Rhea Drysdale, COO of Outspoken Media and an online reputation management strategist. In March, Drysdale announced that her battle to terminate a trademark for the term “SEO” had finally come to an end. Rhea shares with Virginia her legal experience and why this case was another important step in keeping the term from being trademarked in the future. She also shares her recommendations for online reputation management and the concept of all press is good press. Then Bruce, Christopher and Virginia review the happenings and news of the conference. Google announced a new AdWords tool called Search Funnel, helping SEMs understand a user’s sequence of events through search ads. Through Search Funnel, ad impressions and clicks on ads within the 30 days before the conversion are reported to an AdWords advertiser. Last-click attribution has long been a model that falls short of giving credit where it’s due, and this new tool helps address this problem. 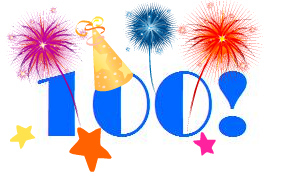 To celebrate this 100th episode of SEM Synergy, Bruce Clay, Susan Esparza and Virginia Nussey host the show live! During the live show, we hope that friends and listeners will call in to talk to Bruce and the crew, to ask questions, and to share stories. Here are some ways you can get in touch with Bruce, Susan and Virginia during the show. With Bruce in Australia teaching SEO training, Christopher Hart, Bruce Clay, Inc.’s director of Eastern region operations, joins Susan and Virginia on the show. Following up on SMX West, they discuss several major highlights from the search marketing conference. Page speed, the Microsoft-Yahoo! partnership and new online advertising platforms played a big role in the SMX West conversation. You can find all the conference coverage and on-site interviews in the SMX West special edition of the SEO Newsletter. Then the hosts talk about a number of upcoming training opportunities being presented by Bruce Clay, Inc. Bruce teams up with Dr. Ralph Wilson on March 25 to host a live Search Marketing Now webcast about the 10 Most Important Things to Know About SEO in 2010. The team will also be teaching one-day SEO training classes in conjunction with conferences including SES New York, ad:tech San Francisco, SES Toronto and SMX Advanced. Standard and advanced SEOToolSet training will be offered in Long Island May 3-7 and in California May 10-14. Bruce Clay Australia will be teaching one-day SEO training in Brisbane on April 7, in Melbourne on May 12 and in Sydney on June 9. Wrapping up the show, Chris, Susan and Virginia look at recent search news. Google published a assessment of its properties’ SEO proficiency and the results are pretty surprising. Also, a battle has developed among U.S. cities campaigning to become Google’s test community for the ultra-high speed Internet connection, Google Fiber. And according to a recent study by Pew Research Center, more and more Americans are using social media to find and share news stories. At the same time, 70 percent of Americans are overwhelmed by the amount of news and news sources available today. On location at SMX West in Santa Clara, Virginia interviews three prominent personalities in the search world: Ian Lurie, Marshall Simmonds and Scott Garell. Ian Lurie, president of Portent Interactive and co-author of Web Marketing All-in-One Desk Reference for Dummies, kicks off the show. Ian is a presenter during the session Analytics Action Plans for SEO & PPC, and he explains how to predict and pick what terms and pages to optimize for based on analytics data. He also talks about how his agency establishes trust and introduces his services to clients with his 10things small business program. Then Marshall Simmonds, chief search strategist at the New York Times and co-founder of Define Search Strategies, then talks to Virginia about the topic of his Ignite SMX West presentation, where he muses on how history would have been different if major figures had the Internet at their disposal. He also shares a preview of his presentation on the Industrial Strength SEO panel and the challenges of enterprise search. Finally, Scott Garell, president of Ask Networks, joins the show. As the number one brand charged with answering questions on the Web, Scott explains that Ask.com is a strong platform for advertisers. He also hints at the Q&A social community that Ask.com will be launching in the second quarter of the year. The community aims to connect experts with searchers, pointing to the abundance of information that hasn’t been published on the Web. Combining innovative technology and connections between people is Ask.com’s strategy.